The future looks bright for the Salford Red Devils as they continue to build the foundations of their academy through the Sky Try programme. The Sky Try initiative, which is designed to attract 100,000 extra people to the sport of rugby league each year, is enabling the club to discover and identify talent suitable for their youth programmes. Alongside the ‘Embed the Pathway’ scheme, Sky Try has become a key step in the process to developing the future of rugby league in Salford and has become a feeder into the clubs ‘Rising Stars’ academy system. 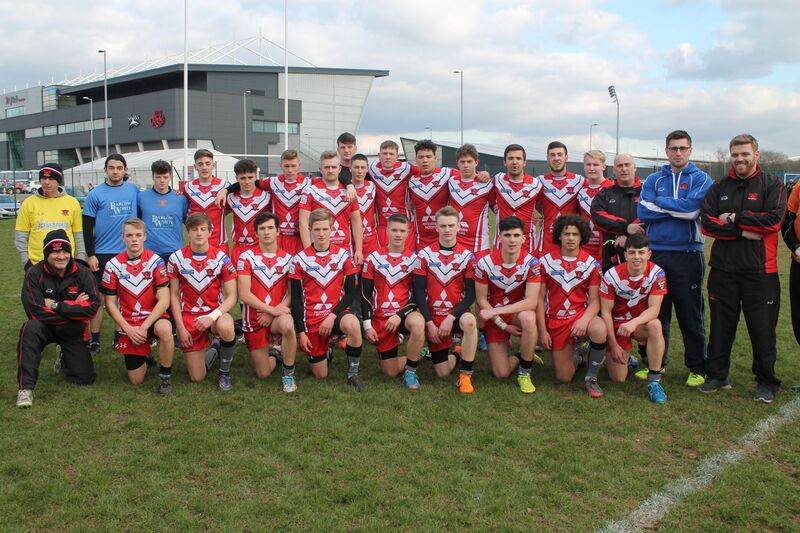 The ‘Rising Stars’ scheme gives selected players from the Under 15’s and 16’s sections the opportunity to develop their skills as rugby players in a professional environment, with the aim to progress into the under 19’s academy squad, and the ultimate goal of playing in the Salford Red Devils first team. Sky Try has been instrumental in establishing a clear player progression, working alongside the 'Embed the Pathway' programme to engage with young players from the age of 12, and bring them through into the 'Rising Stars' setup. With these programmes in place, the Red Devils are confident that they will be able to capitalise on the huge potential that exists in Salford and the wider area, and secure a successful and exciting future for the club at the highest level, built on local talent.